1st January. Early in the morning, the sky is gloomy and gray with rain. As I drink my tea, I find myself trying to ignore the chaos of boxes stacked behind my chair as I write this post. Our new place is smaller so I carved out a little niche for myself in our bedroom for my art table & supplies. It’s nice and cozy! I’m sketching and painting for the first time in ages, and feeling better for getting back into the swing of things. 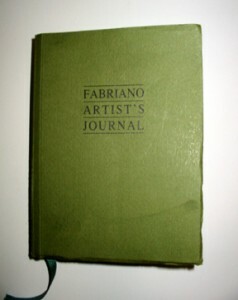 Today I received a new Fabriano Art Journal from my husband. I had filled up my other sketch books and needed a new one. What a wonderful gift! Here is a sketch of a Fairy l did this morning and I should be able to finish it over the next couple of days. Maybe I can add some small animals, like foxes or rabbits trailing behind the elf. I have been working on this painting since February of this year. 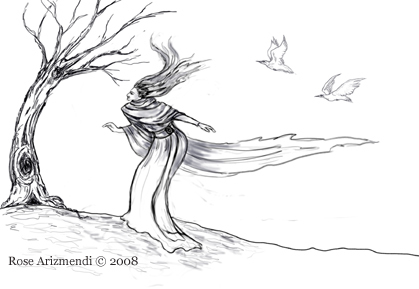 The inspiration for this piece came from reading the novel “Daughter of the Forest” by Juliet Marillier. She is a very gifted writer and folklorist. This beautiful retelling of the traditional seven swans fairy tale set in ancient Ireland, sent me on a quest of inquiry into a myriad of myths surrounding swans. 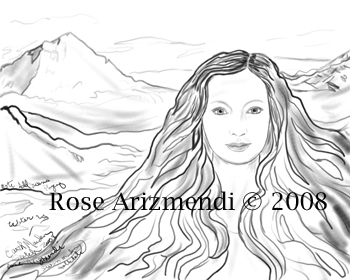 During this research, I was drawn to the Irish legend of a beautiful swan maiden “Caer Ibormeth”. Daughter of Prince Ethal Anbuai of Sid Uamuin in Connacht. 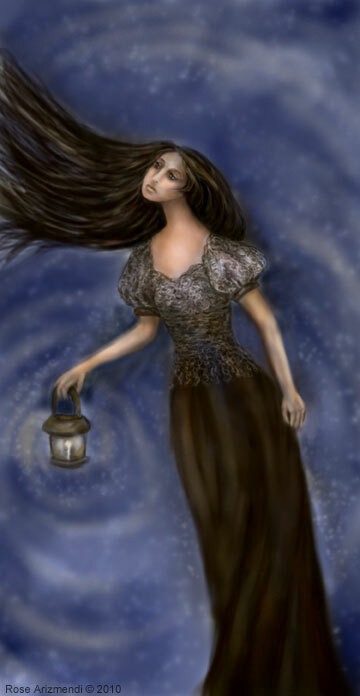 Legend has it that every other Samhain she would change into a swan and would remain in this form for a year before becoming human again the following Samhain. 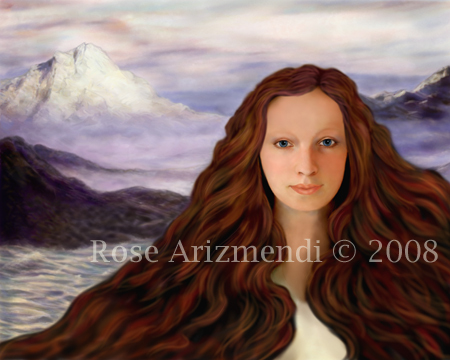 This romantic Irish myth has become the main focus of my painting. 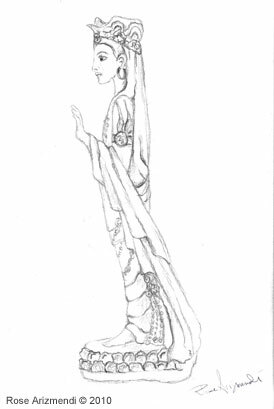 I have done several preliminary sketches of flying swans and will be adding these later when I have finished painting the maiden and the background. Sometimes when I am working on a painting, it becomes necessary for me to plan, to mull, and let some of my ideas percolate for awhile before I can proceed. I will post this painting again when I am finished. The rain has arrived and thank goodness, it has been such a dry season for us. When I stepped outside this morning everything smelled so fresh and clean. What a wonderful way to start your day! I grabbed a cup of hot tea and decided to do some sketching. I wanted to play around with some ideas which had been bouncing around in my head lately. 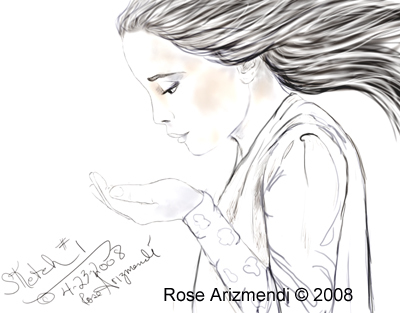 I have always been fascinated by archetypal images, and today I was primarily focused on The Divine Child archetype when I did the sketch below.